Gobbledygeek episode 237, “The Destabilized Economy of Nightmare Fish Muppets,” is available for listening or download right here, and on iTunes here. During Miyazaki Month earlier this year, Paul and AJ (along with a number of their friends) discussed every feature film of Hayao Miyazaki’s career…except two. 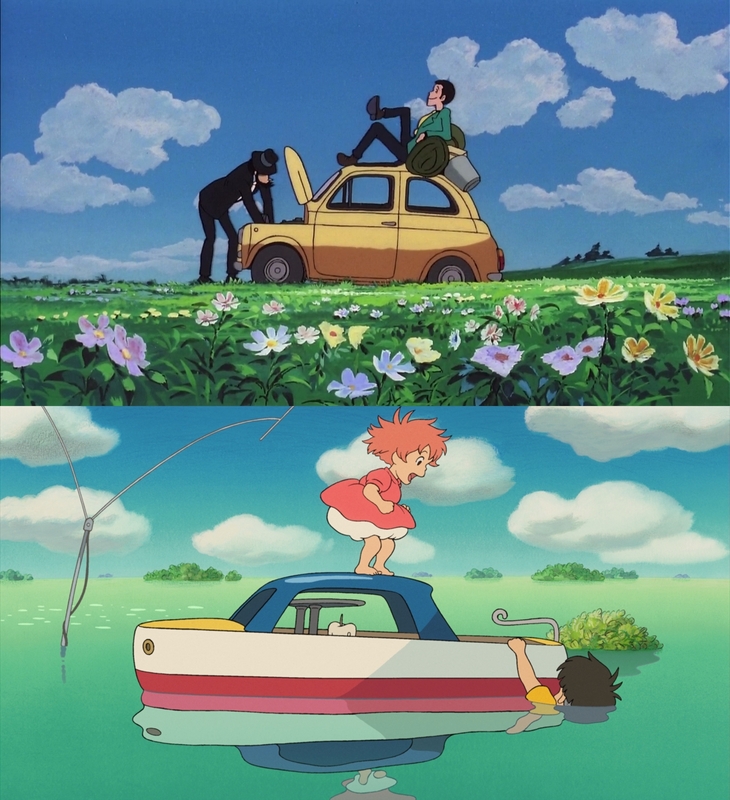 Which is why they’ve revived the concept for a “lost” Miyazaki Month analyzing 1979’s The Castle of Cagliostro, Miyazaki’s first movie; and 2008’s Ponyo, his penultimate film. Well, “analyze” might be the wrong word…for different reasons, these are two movies which don’t necessarily require a lot of thought. But the boys give it their all anyway, going over Cagliostro‘s heist picture wackiness and Ponyo‘s dreamlike simplicity, not to mention Hitler and nightmare fish Muppets. Next: we’re on vacation…so who knows! But we’ll be back! This entry was posted in Shameless Self-Promotion and tagged action, adventure, animation, anime, fantasy, film, gobbledygeek, hayao miyazaki, itunes, libsyn, lupin iii, miyazaki month, movies, podcast, ponyo, the castle of cagliostro. Bookmark the permalink.